Troy Frady – Your happy, humble servant who loves to see families have a good time. I love everyone and I show it. I offer children handshakes or hugs after every trip – That way, they can decide how they would like to respond. I am Troy Frady, your charter boat owner, captain, servant and host. 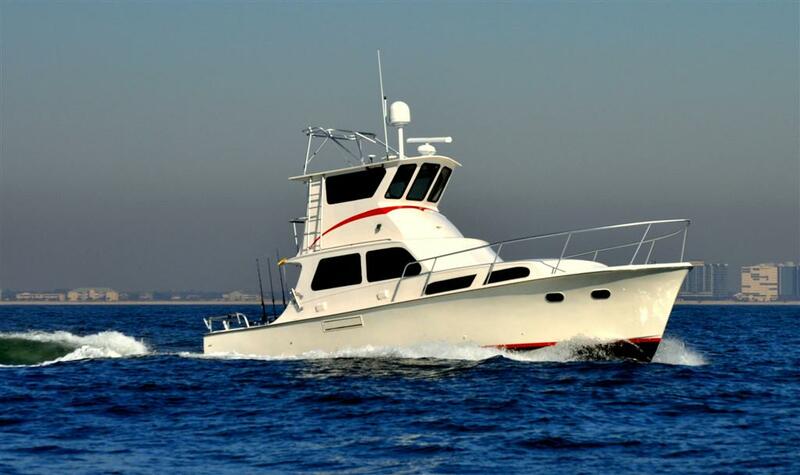 I have been in the charter fishing business full time since 2002, but have been fishing the gulf waters on weekends and summers, since childhood. I have made every mistake you can make in the charter fishing business, which has made me so humble that my successes have not made me arrogant. I have a servants attitude and absolutely love seeing families spend quality time together. To me, there is nothing more important than family and friends. I really enjoy watching grandparents, parents, kids and children learn something new while catching their first fish or their hundredth. That is always seemed magical to me. Seeing a parent or grandparent get to spend quality time with a child or grandchild is what I live for. I especially love seeing children or family members with special needs, enjoying themselves and experiencing new things. That is why I offer you a charter trip that is so meaningful and unique, you can’t find anything like it elsewhere. I guarantee it. I believe that every moment, every breath, every wave and every fish you catch has the potential to become it’s own story. A story that is so amazing, you can share with others and be able to pass on to your kids and grand kids. My passion, energy and enthusiasm abound on every deep sea fishing trip. 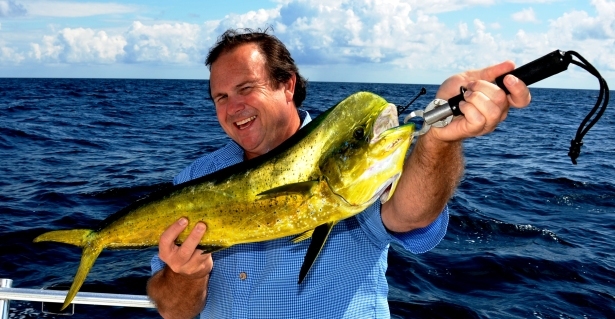 Because I am rested each week (Take Sunday’s Off), I am always up beat, full of encouragement and look forward to meeting every passenger, calling you by name, getting to know you and ultimately sharing a unique fishing charter that will leave you enthusiastic about your next trip. I love to joke around and tell stories about some of the most interesting fishing trips and experiences I have had in years past and how they have affected my operation and have developed into policies we have in place today. BTW, If you or another family member has a dry sense of humor, or are little bit nerdy or don’t care for a happy captain, I will do my best to get you out of your shell so you too can enjoy deep sea fishing. I promise that I will do all I can to ensure you too have a good experience anyway. Who Is Captain Troy? What Is He Really All About? 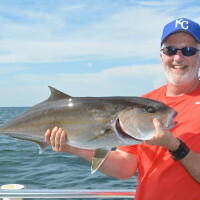 Captain Troy holding a greater amberjack. I am a laid back, down to earth, conservative thinker who is a friend that a friend would love to have. I love everyone I meet and enjoy getting to know you and call you by your first name. When it comes to deep sea fishing, I have learned over the years, to challenge traditions in order to start a few of my own. Early in life, I questioned “why things are done they way they are,” and then tried to figure out better, more efficient and hopefully more profitable ways to do things. Some things I tried, didn’t work at all. Some things were huge successes. One thing I figured out soon after leaving corporate and entering the fishing world, there was a whole lot of room for improvement in the charter fishing industry. There was especially a lot of room to improve on customer service and teaching people about conservation of our marine resources and why it is important to always to never take more than we need. When I began charter fishing in 2002, I found a whole new world of opportunities that had never been challenged or exposed in the charter fishing industry. There were a lot of negative stereotypes that came with being a charter captain that I experienced as a kid, and felt needed to be changed in order to professionalize the charter fishing industry. As a child, our family chartered many boats and getting one where the captain and crew were not so feisty and cantankerous was always a pleasure and we always stuck with the one who was pleasurable. 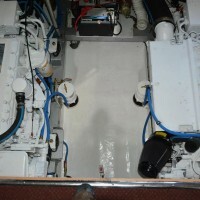 So, my message to my customers is, not everyone who owns and operates charter boats are grumpy ole codgers. Being corporately trained for almost two decades, I found it easy to find solutions and solve problems in the charter fishing business in Orange Beach. My way of thinking met a lot of resistance at first, because people (other captains ) didn’t like change or people who think outside the box. People are fearful of doing things differently because they don’t know what that change will bring. With a past career in corporate management, I learned that change was uncomfortable, but often it turned out good. The key to my success, was being able to figure out when I was going the wrong way, to stop, and change directions. I’ve always been a dreamer who became a doer and and now I am a believer. Most of all, I am a God fearing family man that tries to use the talents that I was born with. In my opinion, I feel the skills I have, set me apart from the rest of my peers when it comes to charter fishing. What I am good at is finding fish and teaching you and your family how to catch them and offering you encouragement while you are reeling them in. I am not like any captain you will ever meet. I have a unique ability to see all situations and moments in a different light. My personality ranges from fun loving, to all business and a lot in between. I have a passion for living life and loving everyone I meet. I’ve been known to tell people I love them – because that is who I am. I am always very respectful and caring. I have a comedic side where I tell short versions of true stories about my life and events that helped shape who I am today. I often find myself laughing out loud at the human experience. I share real life funny experiences that happened on my boat and in my life in hopes to make you laugh and so you will relax a bit. I find that telling funny stories helps people who are apprehensive or nervous about going deep sea fishing for the first time to relax. When I am in a business environment like meetings, safety speeches, etc., I am quite, serious (not a jerk), level headed and always thinking about other people and their opinions. I truly care about how other people feel. I am especially attentive when I hear someone cry or lash out when they are fearful and struggling with changes in their life due to economic hardships and uncertainty, family problems, and are afraid of what the future might bring them. Being good listener and not judging anyone are a couple of my strongest attributes. When I can or asked, I try to share my thoughts with them, in hopes of finding a way that helps them see the positive side of every situation and what God may have in store for them. When it comes to people, I look for the best in everyone. I am extremely fun loving and treat everyone with respect. I enjoy meeting people, their kids and their family’s. I do my best to make sure everyone around me knows that I love them and I care for them from the moment I meet them, until the time I leave them. What? Yes, I love everyone and I am not afraid to say it or show it. I have been known to offer hugs or handshakes to kids after each trip. This allows them to engage at any level they desire. 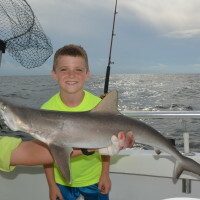 When it comes to kids, I really enjoy getting them to come out of their shell a little, so they can enjoy what deep sea fishing can be about, if they participate. On a personal note, I’m really humble and not impressed by someone’s fame, their income level, their followers, their degrees or their titles. I do know they worked hard to get where they are, but those things are not valuable to me. I am however, very impressed by people who are kind, loving, generous, have integrity, a sense of humility and those who are good parents and grandparents. I certainly don’t expect anyone to call me “captain” like so many others in my industry do. If you don’t mind, it’s OK to call me Troy. I really enjoy making everyone around me, have a good day. I always wake up with a smile on my face and look forward to each day on the water (except when seas are choppy). When I get to the boat, you will be met with open arms and a handshake. I am the captain who finds humor in almost everything and every situation, except when it comes to safety. Safety is something I take seriously but I am not overboard with it. While on board, I promise that I will take the time to learn your names and call you by them. I promise to be friendly, informative and helpful at all times. I am genuine, sincere and very safety oriented. I am interested in my guests, their careers, their family and I am always generous with praise when I see someone doing their best to learn something new. I never criticize anyone if they do something incorrectly or when they backlash a reel. If someone is doing something unsafe, I will get their attention and gently explain to them our procedure, so they may understand how and why that can get them hurt and how they can avoid it. I am considerate of your feelings and understand that this may be your first time deep sea fishing. I am very respectful and thoughtful of the opinions of others. Finally, I understand that what counts most in life, is what we do for others. Shaping my early years: At an early age, I learned that talk is cheap and anyone can tell you that they care about you, but when someone shows you they care about you, that is when the game changes. I believe that you have to show others that you care about them. There is some truth to the old saying, “I had rather experience it once, than hear it a thousand times.” That’s why I am so passionate about giving you my best effort on my fishing charters. I have the ability through actions, not words, to make your fishing experience, better. I don’t control the fishing seasons, bag limits, the fish bite or the weather, but I do control how good I will treat you and your family. When you choose to do business with me, I look at it like an honor. I will show you how your family’s happiness always will come before my personal gain. 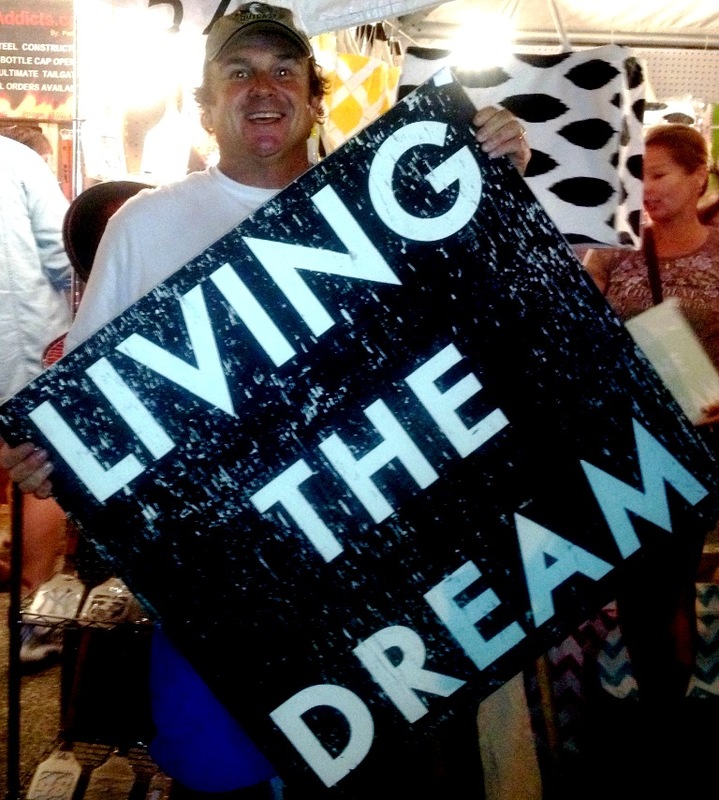 Why Captain Troy left corporate America behind to live a dream. I grew up in rural west Alabama where family life was simple, laid back and mostly stress free. Throughout high school and college, I worked in farming and banking as a loan officer and as a member of the board of directors of the bank. After realizing that banking was a bit boring and way too regulated, I wanted to serve my country and went on active duty in the U.S. Navy. Military life was valuable, but I decided that I was not interested in making it a career. After honorably serving my country, I returned home and began climbing the corporate ladder again. I moved to Mobile, Alabama and went into the Logistics /LTL Freight industry. I worked in Montgomery, Birmingham and Dothan, Alabama. I was part of the most incredible logistics management team that grew a small publicly traded company (American Freightways, Inc. ARFW) at 38-42% a year until we got so large and so efficient at moving freight, FedEx came knocking and bought us out in late 2000. What we did in the transportation world changed the industry forever. We raised the bar on service to a point where nobody could follow. Others advertised it, but they couldn’t do it like we did. We began offering 600 miles next day and 1200 miles two days from any service point, as standard service with no hidden or extra charges. I learned how to manage by the minute, the pound, the mile and kept our 19,000 non-union employees very happy. After we sold to Fedex, I realized that I had been part of transportation history in the US. That is an accomplishment I hold dearly. I enjoyed my days as an bank executive and a transportation manager, but I always felt a calling for a simpler way of life. Corporate life was good for a while, because it taught me how to run a business. On the other side, corporate sucked the life out of me. By always having to work to make quarterly estimated earnings and profits put a lot of pressure on me. When money became the sole focus of corporate life and having to push my employees productivity to a point to where they were not happy, I decided I had enough. I wanted out of the rat race. Making money for shareholders was not going to control my life any longer. I was about to make a dash for the door and find a life that would be stress free and help me hopefully grow into the person I would later become. In May of 2001, I found out that my father had lung cancer and would not be able to take care of himself any longer. He was a young 70 years old. At the same time, my mother’s health had failed. I had no idea how I was going to take care of them, my own family and still work a full time job? Looking back, I feel that I was given the gift by God to be able to spend some real good quality time with them and take care of them until they both passed away within a year of each other. I call what I was able to do for my parents, “A Gift.” Because of what I had just experienced, it had a profound impact on me and lead me to change my life goals. All of a sudden, climbing the corporate ladder, making multi-million dollar decisions were not near as important anymore as living my life. It became apparent that “life is about living it” and spending more time with family was what I was going to start doing. The scariest day of my life was leaving a corporate job to follow my dream. When my parents died, I realized my own mortality. I was so scared that I was going to be next. It was hard to breath at times. Every time I took a breath, I felt life squeezing my chest. I guess I was overwhelmed and had a little anxiety about being without my parents? All I knew was, I was now on deck and it humbled me a bit. That is when I decided to do something different with my life. I figured I had one chance to make a dash for the door and do something different than I had ever done before. Instead of living up to someone Else’s (my parents) expectations, I decided to take life by the horns and put my nose to the ground and “make it happen.” Having spent so many years working and trying to make quarterly estimated earnings, stockholders and 19,000 employees happy, I decided to go after my childhood dream of living life on the water as a charter boat captain and fishing guide. It was something I had always wanted to do, but never knew how to get into the business. Until that time, I had no idea how hard it was to make a living being self employed. Having come from a guaranteed salary, bonuses and vacations, to having to “get after it” in order to feed your family was a real shocker for me. Looking back, the experience gave me a whole new appreciation of those who take care of their family by running their own businesses. One of the things that became apparent to me after losing my parents was, that wanting to accumulate enough money for the rest of your life wasn’t going to add value to it. Having more money would only make me pursue things that were only related to wealth. To me, wealth is not money. Wealth is happiness and being content with what you have. That is why I stopped climbing the corporate ladder and started valuing what is important in life. Today, more than ever before, I cherish my family and my friendships. I enjoy surrounding myself with good people who get what life is supposed to be about. I just don’t want to end up like my parents who worked hard their whole lives, got sick, then retired, got sicker and then passed away. I want to live my life and not end up sick and dying in a hospital bed, knowing that I could have done more. I want my life to mean something. I want the dash that is located between my birth date and death date that is located on my tombstone to actually mean something. Families Love The Distraction Charter Boat. She is older, but she is safe, sound and like new on the inside and out. Right after my dad passed away, I was talking to my neighbor about going fishing for my living. He just so happened to be a co-owner of of a big Charter Boat Marina in Orange Beach and I figured he could give me some advice on how to get into the industry. I told him my childhood dream about becoming a charter boat captain and guide and he just smiled. I asked him “How do I get in the charter fishing business?” He said, “Go buy a boat!” Seemed simple enough to me, so I began searching for a boat I could afford. Boy, that was a surprise. Some of those big boats were really expensive. It’s funny how when your searching for a boat, everyone thinks their boat they are selling, is more valuable than it actually is. Being a former banker, I knew it would take a whole lot of fishing charters to pay for a new boat. That obviously, was not going to be a viable option. So, one day while visiting a friend over in Destin, Fl., I saw a boat floating in an obscure corner of a marina with a “for sale” sign on it. I eased down on the dock and stuck my head inside the door. She was perfect and was just what I was looking for. She had potential, but needed a lot of work. After letting the surprise stew a few minutes, I loaded her and the kids up an drove her over to Destin, Fl. to look at the boat. When she saw it for the first time, she exclaimed, “you spent how much money on that!” Her jaw about hit the floor when she realized that the boat was in dire need of repair and paint. She asked me, “How much did it cost and where did you get the money?” What an awkward moment this was. I was so focused on changing careers, I failed to even think about what my better half thought about it. When I told her that I had cashed in my 401k and used the money to purchase the boat, it got awful quiet for a few minutes. She then said, “for that kind of money, you could have bought a new boat.” So, being the quick thinker I was, I took her by the nearest yacht dealership and intentionally showed her the expensive boats in an effort to minimize and justify what I had done. When she saw an $1.1m price tag on a similar but newer boat, then she looked at me and said, “That one will do just fine.” Whew, I thought to myself. It looked like I was not going to be the subject of a Lifetime®TV “Snapped” series for now. Where the boat’s name “Distraction” came from? After many months of being in the boat yard restoring this Hatteras, it was time to give her a name. I decided to name her “Rock n Reel.” Before I purchased the lettering, I ran the name by my wife to give her some say so in the matter. She quickly said, I’ve got a name for that boat. It should be named “Distraction.” I said, Because of ADD? She said NO, you smart-Alec – It’s because that boat is a distraction to our marriage. Hence, Distraction was born. 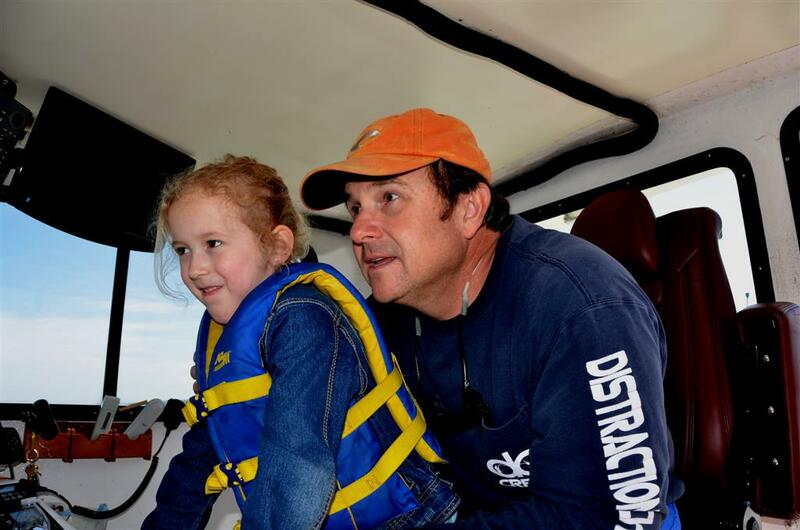 Captain Troy loves to see families with kids explore and discover new things. 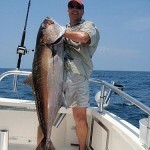 How Captain Troy Offers A Different Kind Of Fishing Charter? 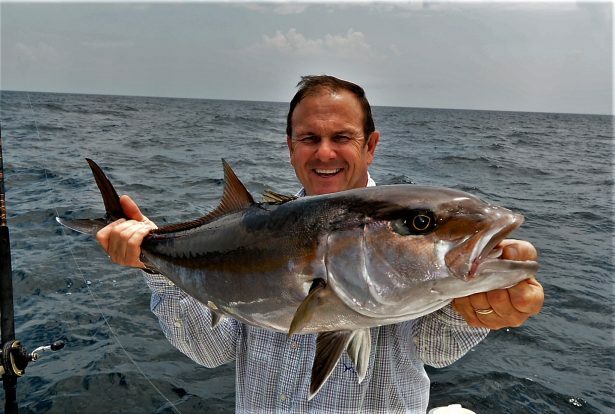 When I first started charter fishing, the only advice I was given about being a good captain was, “I had to catch and kill a lot of fish.” At the time, charter fishing in Orange Beach was all about killing fish and lots of them. The more fish that were in the cooler, the better for business. I was told that you had to kill them in order to grow your business. After rocking along for about two years, trying to grow my business and be like other successful captains in Orange Beach, I came up with an idea that ultimately changed changed my business and ultimately changed charter fishing in the Gulf of Mexico. The fish that I knew were all gone. The once abundant ocean was picked clean and had been over fished for over 20 years. It was shocking to find out that the Gulf of Mexico was not in good shape when it comes to having healthy fish stocks like red snapper, triggerfish, amberjack and grouper. I noticed not one single captain ever asked their customers “how many fish would you like today?” I had no idea that everyone in the charter industry assumed that everyone who got on their boat, wanted a cooler full of fish. Being a conservation minded person, I began asking, ” what would you like to do with the fish you catch today?” I was amazed to find out that about 85% of everyone wanted to keep a few for dinner and were not really worried about filling the cooler. What an eye opening experience it was to simply ask our customers what they wanted. I saw a niche’ and quickly re-branded myself altogether as the next generation of fishing guides and began marketing to those anglers who wanted to go fishing for the experience, rather than trying to fill the cooler. I began asking three questions of potential clients on my reservations page. They were: 1. Would you like to release all you catch? 2. Would you like to keep all you catch? 3. Would you like to keep only a few for supper? What a novel idea. As fishing got tougher because of over fishing and President Bush 43 re-authorizing the Magnuson Stevens Fishery Conservation Act in 2006, which made fishery managers shorten seasons in order to allow fish populations to rebuild, I eventually dropped “keep all you catch” as an option so I could really focus on growing my business with like minded customers. Although I spent many years in corporate America, being self employed has been challenging to say the least. It has also been the most rewarding thing I have ever done. I just wish I had the guts to do it 20 years earlier. If I had, I probably would not have all the life lessons that we all have to learn before we finally “Get it” and realize that life is about living it, not just trying to make a living. February 2013 – Appointed by NOAA Fisheries to the RFWG – Recreational Fisheries Working Group of the MAFAC – Marine Fisheries Advisory Committee that advises the U.S. Secretary of Commerce about recreational fishing. Our committee wrote the white paper, which later became the National Saltwater Recreational Fisheries Policy that was implemented in 2015. My term expired November 2015 after our mission was complete. January 2015 – Appointed by former Alabama Governor Robert Bentley to serve a three year term on the Alabama Seafood Marketing Commission. February 2015-Appointed to Mississippi Alabama Sea Grant Consortium Advisory Council. April 20, 2012 – CBS World News Tonight – Troy discusses long term restoration in the Gulf of Mexico two years after the BP Oil Spill. 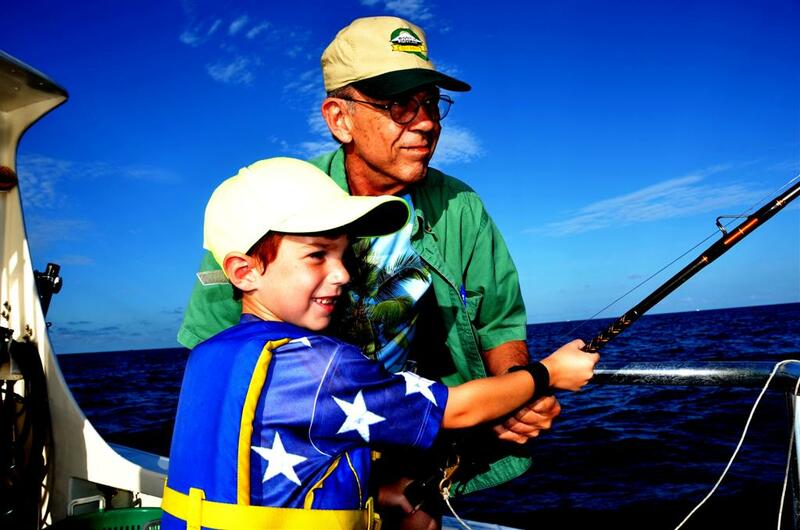 The memories created while fishing with Grandpa are priceless. These moments are special and Troy loves to see families together, having fun. Here is a true story about when I was in banker back in the late 1980’s and early 90’s. Our family used to come to Orange Beach each summer and attend our state banking conventions and on our family vacations. We became friends with some of the people who clean the condo’s and hotel rooms where we were staying. Over the years, we would get into conversations with the employees (our friends) during our stay, and in addition to asking about their family and kids, we asked them questions like,”What do you like most about your job?, What do least like about your job?” What amazed us, was the fact that almost everyone told us that the thing they disliked the most was how wasteful everyone was. While doing their jobs, they always would find large bags of fresh fish in the freezer or in the refrigerators that people had intentionally left behind. Now, I know what you are thinking. What a bounty, right? Wrong. We are not talking about an occasional bag of fish here. We are talking about a common occurrence where tourist went fishing and kept too many fish. I used to wonder why in the world people would go fishing and be so irresponsible to leave their fish behind? Because the employees aren’t allowed to keep anything left in the rooms by guests, these fish had to be thrown out or in the dumpster. Unbeknown to me, these conversations would later become my reason for and a platform for becoming a different kind of fishing charter. Moving forward nearly 20 years after working in corporate, I started by own charter fishing company in 2002. I was told by the charter marina management team that in order stay on rotation, I had to catch a lot of fish for their customers. 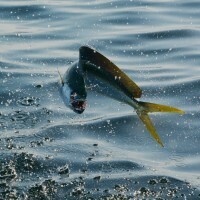 Back in the early days of 2002-2007, fishing was hard because most all reef fish populations off Alabama and in the northern Gulf of Mexico, had been fished down for the past 20 years, to a point where you could not hardly catch a legal size red snapper or reef fish anywhere except way offshore on secret private reefs. One of the things I noticed was, the marina charter office did not ever screen their customers to see what they wanted out of the fishing trip. They were only concerned that they made the 15% commission from the sale. If the charter office put people on your boat, you were expected to catch them a limit of fish, regardless of the trip length. Unless you asked your customers beforehand, you didn’t know ones motivation for going deep sea fishing. Were they there to go fishing so they could fill their freezer or where they there because they wanted to go fishing and have a good time. I assure you, there is a difference in the two motivations. Because fishing was tough due to over fishing, I had to figure out how to get the pressure off myself and having to produced fish for the marinas customers. So, I started asking customers before they booked with us, “How many fish would you like to keep today?” To my amazement, over 85% of them wanted just enough for a meal or two. Knowing this information, gave me an idea about how to get customers on my boat who thought the same way as I did about keeping what I needed, instead of keeping what I could. I strongly believe that we all have a responsibility to ensure that there are fish for future generations. The conservation torch is in all our hands. We all have an opportunity and a responsibility to leave the gulf in better shape than before we entered it. Because of cut backs and reduced bag limits since the 2006 re-authorization of the MSA, we are now beginning to see more large fish than in recent years. Because fishing got so good, so quickly, many anglers have not had to go far offshore to catch quality fish. Because of this extra fishing effort within 40 miles of shore, we are now seeing the fish stocks being depleted again and the average weight of the fish has fallen to about 3 pounds per fish (red snapper) again. Some scientists call it a cycle, but I believe its a combination of cycle, over fishing and environmental issues that can be linked to pollution, water quality and events like the deep water horizon oil spill. We are still not out of the woods enough yet to allow the seasons to open back up to the way they once were. Even though everyone sees the red snapper fishery recovering faster than expected, we still do not have enough older fish or brood stock to allow the harvest to resume to pre-2007 days. Red snapper live to 52 years of age. The problem is, we don’t have many fish over 12 years of age and we are missing some year classes of fish due to the oil spill and some weak year classes due to nature taking its course. Unlike foresters who can replant trees in order to replenish and sustain the resource, we fishermen do not have that ability. The best we can do is to leave more fish in the water so they can grow older and reach maturity so they can reproduce. By balancing the number of fish we harvest with “Keep The Best and Release The Rest®,” we are doing our part to make things better. There are some people who believe releasing fish harms them and they don’t survive after being released. Those are the people who mostly fish in deep water and bring fish up from the bottom where their air bladder expands and the fish are not able to go back down to where they come from unassisted. That is the reason we don’t fish on the bottom. We fish in the first atmosphere of pressure (33′ or less) and when our fish are released, they swim away unharmed. If someone drops their line deeper than 33 feet or to the bottom and catches a fish that needs a little help, we use a fish descender to safely take them back down where the pressure equalizes and the fish is unharmed 99% of the time. My sporting roots run deep. I appreciate our outdoor heritage and want to share them with our families, friends and future generations. I want your grandchildren to have access to abundant fish populations that I grew up enjoying. I will always fight against those people, organizations, profiteers who try and erode our access to public waters, resources and lands because of their own greed, ignorance and misinformation. I love this nation and will always put the greater good of the people above my personal gain.